I am only mentioning cheeses that are new to me here because – as anyone there can attest – there were too many awesome cheeses for one person to blog about. My versions of these from past years are still pretty much valid, so check those out as well if you want. 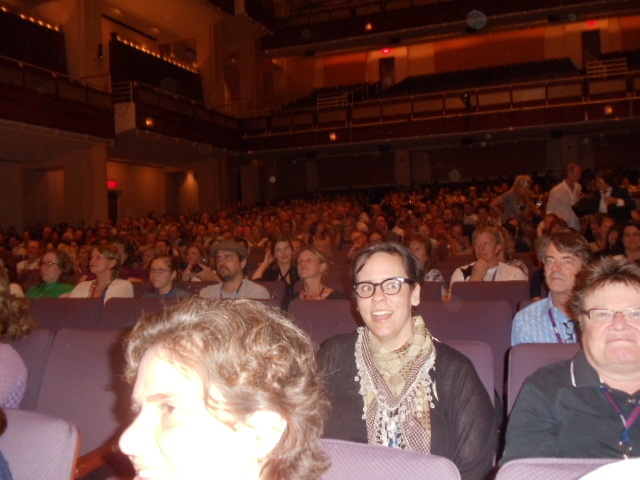 Here is a list of things that got my attention at ACS 2012. 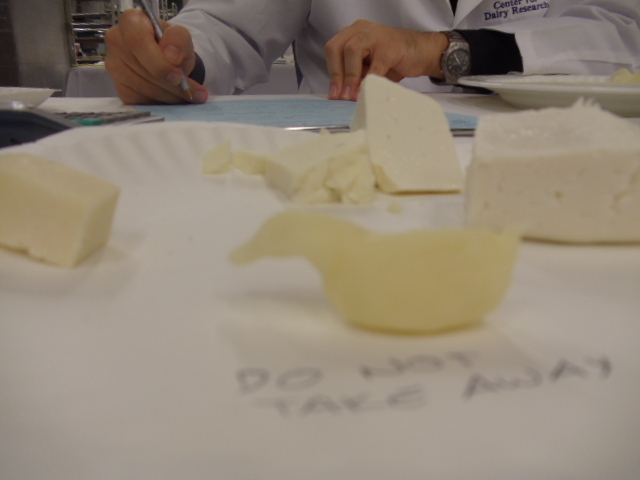 Cleary this cheese was ripped apart by the judges in the best possible way. 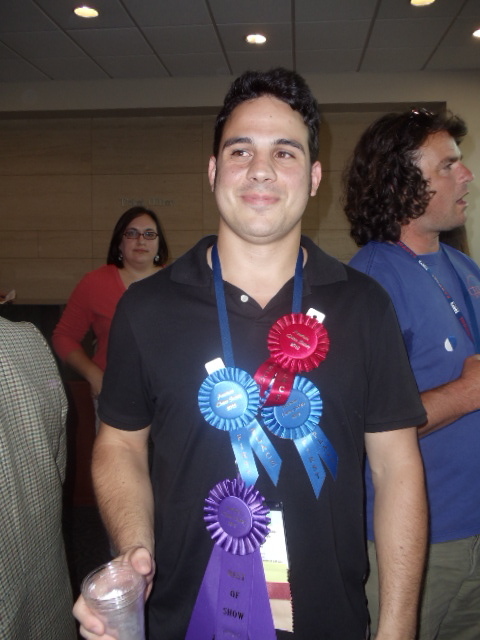 I had never heard of this cheese or cheese company before the judging. I love it that a cheese like this can be recognized in a competition this big. 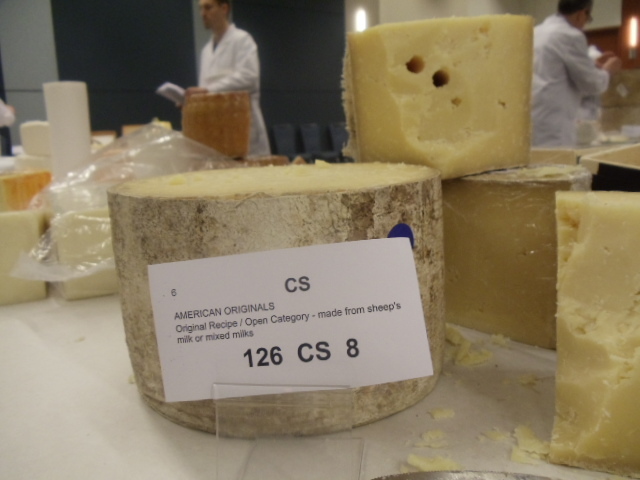 It speaks well to the competition and shows how important a blind judging is to reward less well-known cheeses. 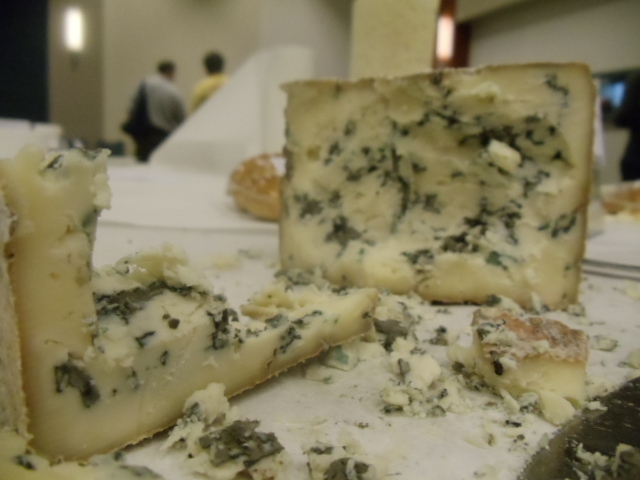 Crema de Blue is – like the Flagsheep – a mixed milk cheese, sheep and cow. As the name would imply it is rich and creamy with a very well-balanced blue flavor, assertive, but not overpowering the milkiness of the cheese. I love natural rinded blues! Again, wish I could get my hands on this one. This is kind of a previous Best in Show winner. 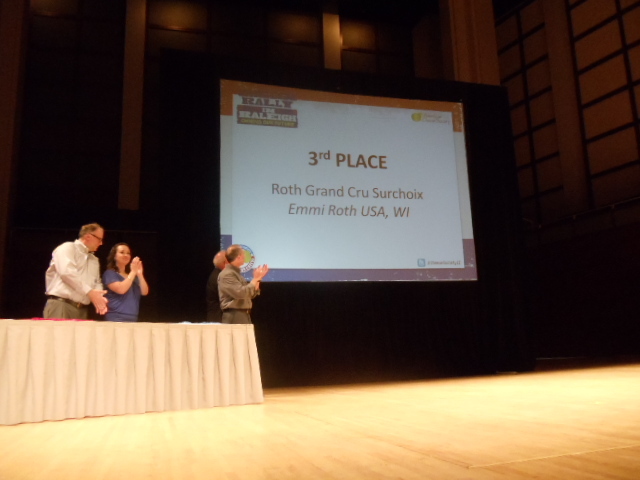 Under a slightly different name (“Roth Kase — Grand Cru Gruyère Surchoix”) this same basic cheese won it all in 1999. Since Emmi owns a company with actual name-controlled Gruyere in Switzerland (as well as Cypress Grove Chevre in California), they are moving away from calling their Wisconsin version by that name, which I do think is admirable. Whatever they called it, they make one of the most solid alpine-style cheeses in the country. They even imported those cheese flipping robots (which one is not allowed to photograph in their warehouse!) which are just about the coolest cheese thing ever. 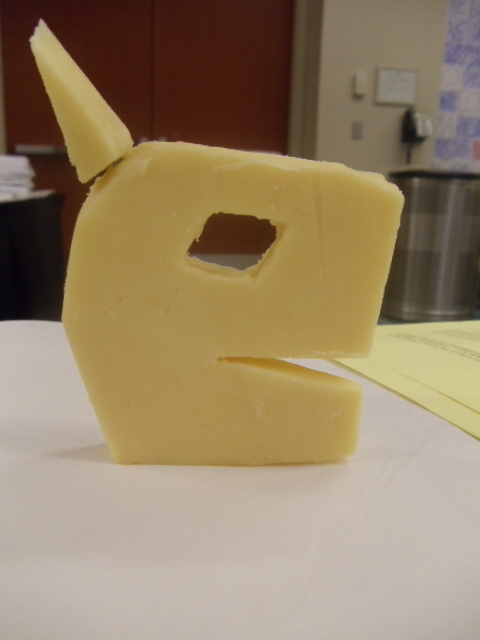 This is the one cheese I voted for in my personal top 3 which didn’t make the Best of Show/Runners up list. This is the best American version of a Reblochon that I have ever tasted. 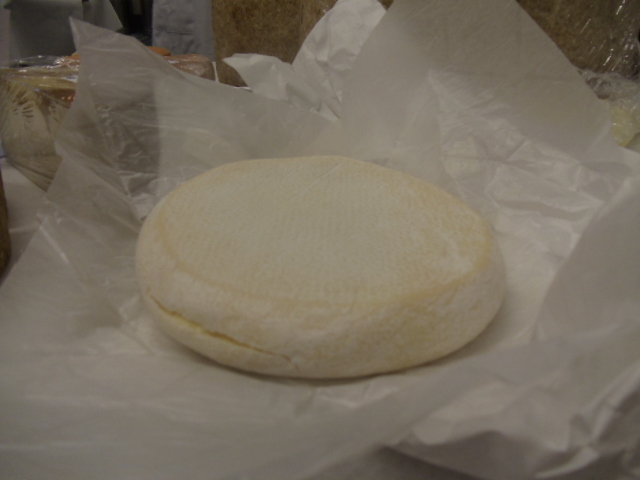 Reblochon is, for the most part, illegal in the US because it is made with raw milk and aged less than 60 days. The imported pasteurized versions just do not satisfy. While I often buy a larger format, legally-raw-milk version made in France, it is great to see one made closer to home… and from a farmstead, pasture-based dairy no less! If you are local, we actually have some of this cheese in the store right now… but probably not for long.